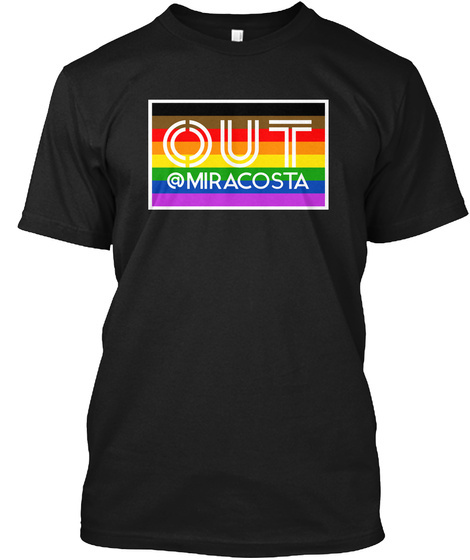 The OUT @ MiraCosta t-shirt campaign raises visibility for - and awareness of - sexual minorities at MiraCosta College, one of California's 114 public community colleges. Profits from t-shirts go to the MiraCosta College Queer and Trans People of Color (QTPOC) student scholarship endowment. More information at miracosta.edu/lgbt and to make a 100% tax-deductible monetary donation directly without purchasing a t-shirt please email Dee Jaykus, MiraCosta College Foundation, at djaykus@miracosta.edu.